Join the WKMA brings benefits such as collaborative events, courses, exhibitions, and students the opportunity to meet like-minded people around the world. If you want to join the WKMA download the form, print it, fill it and send it to the address of the headquarters office listed at the bottom. 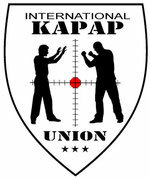 Kapap System Krav Maga is a franchise that involves contracts and professionalism. There is a simple but membership in a professional manner to achieve two main goals we have for Mr. A and real hard training, and financial dependence that both seek. Today the name Krav Maga for you, seeing the product itself that is the defense system in the world and looking for more Kapap is still something else and the field of urban survival in the modern world. See and read our franchise agreement that brings you all the information, note that your questions will be glad to clarify them. This course is designed for those who want to acquire the skills of self defense and martial arts. The course is designed for men, women, teens and children. It provides self-defense skills against potential threats can be found in everyday life and is adapted to almost any place (street, house and car). This course is primarily designed for those who are interested in instructing Kapap in various configurations. This is the basic course, designed for the level of black belt of all combat systems and styles. The emphasis of this course will be in Kapap unique style. Trainees will learn combat tactics and combat techniques in different situations and constantly changing. This is the advanced level designed for those who have passed level one and are over the age of 18 years. The emphasis in this course will be able to fight advanced, as well as the use of cold weapons and gun shooting practice. In addition, VIP protection basics of military combat and will be taught. This is the highest stage in Kapap instructors' course, and is intended only for those who successfully passed the training phases one and two. The emphasis at this stage is the final refinement of the instructor Kapap. This phase focuses on implementation of practical shooting gun, shooting guns, driving operational survival under desert conditions, topography and field training. This course will take place only on Israeli territory. All trainees receive a certificate from the International Kapap. Any club or organization wishing to become a member and Kapap Franchisee will be granted a certificate of international representation and recognition. The program is built Kapap women from a wide variety of techniques of self defense simple and effective that any woman can put to use in time of need. Kapap is a great and simple tool that enables women to cope with any physical threat anywhere. At work, on the street, the house and the car either as driver or passenger.